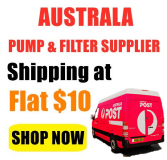 We offer all Water Filter Cartridge accessories including replacement cartridges, membrane for reverse osmosis, sediment water filter cartridges, carbon filters & more.? 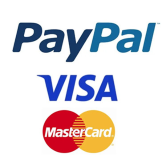 If you need advice or assistance or simply have some?inquiry, please call us on 02 96832253or email your name and contact number at?customerservice@clicktobuy.com.au and we will contact you shortly. 4 X Big Blue Sediment Replacement Water Filters (5 Micron) 4.5"